Why would the AFP offer tests (to the Indonesian Police) which it knew it could not perform? The truth is that the tests were well established and readily available. 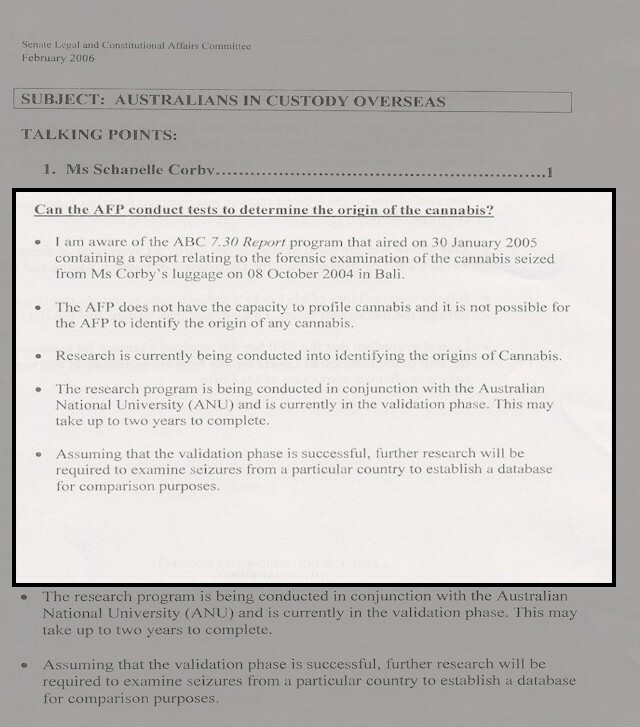 The Hidden World Research Group have obtained documentation from a leading forensic scientist, who repeatedly offered to perform such tests for the AFP, but was rebuffed. Note also that The Hidden World Research Group have been unable to obtain confirmation of whether AFP Commissioner Keelty's meetings with his Bali counterpart, Made Pastika, subsequent to the INP's positive reaction, were witnessed or minuted. On request, the AFP refused to provide any information at all on these crucial exchanges. 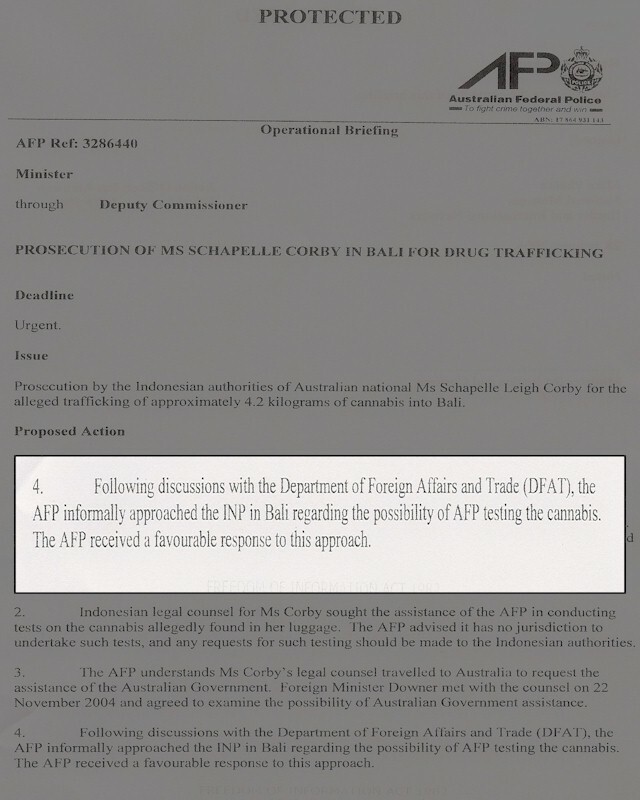 For further details of the disturbing events surrounding Schapelle Corby's efforts to have the marijuana properly tested, view The Mutual Evasion Report. William Moss On The Source Of The Marijuana. Email, print, or share Expendable Project information on any social network.